The judge, Jim Holden, selected as Champion individual animal, a steer from Ian T Goldie, Greenfield, Cummertrees, Dumfriesshire. This eleven-month-old bullock sold for £900. Mr Goldie sold others to £920 and £860. The award for the best pen went to H & M Connell, Minsca, Lockerbie for a group of young stores which sold for £760. Other pens from Messrs Connell went at £880, £840 and £810. Standing reserve in both the individual and pen classes was North Yorkshire consignor Willis Graham of Highfield House, Ilton, Ripon. 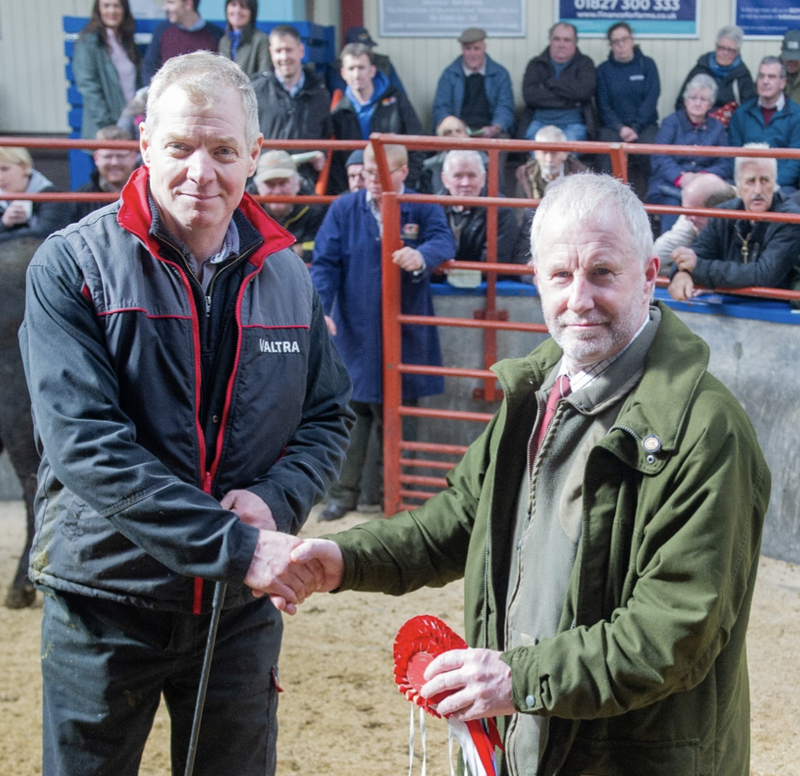 He topped the sale with his individual prize-winner, a June 2017 white steer which sold for £1,100. Mr Graham also had pens of cattle to £920 and £900. Messrs Thomson, Pilmuir, Hawick, Roxburghshire sold ten-month-old steers to £790 (twice) and £750. There was significant demand for all Shorthorns forward. The Longtown autumn show and sale of these will be on Saturday 12 October.